RRB Recruitment 2018, West Central Railway Recruitment 2018: The Railway Recruitment Cell is hiring sports persons against sports quota. The last date for submission of online application is August 10, 2018. 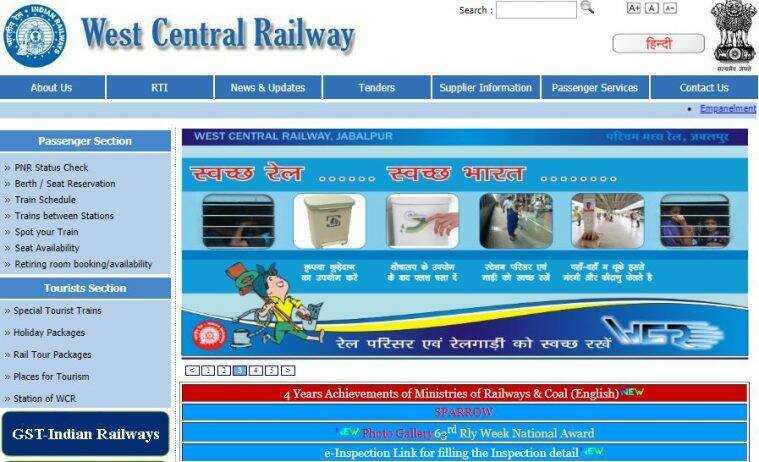 West Central Railway Recruitment 2018: The last date for submission of online application is August 10, 2018. RRB Recruitment 2018: The Railway Recruitment Cell, West Central Railway, Jabalpur has issued a job notification for recruitment of sports persons against sports quota. The last date for submission of online application is August 10, 2018. Candidates will have to undergo trials for selection, in which their sports performance and suitability will be assessed. Only those who are found fit in the trial will be considered for the next stage of recruitment. The selection will purely be on the basis of merit. Service bond of 5 years will have to be submitted by the selected candidates at the time of appointment. Those who wish to apply should be holding a graduation degree from a recognised university/institute. They should have represented the country in Olympic Games (senior category) or should have obtained at least third position in the World Cup (junior/senior category)/ World Championships (junior/senior category)/ Asian Games (senior category)/ Commonwealth Games (senior category), except gold medal in Asian Games. Represented a state or equivalent unit and obtained first position in Federation Cup championships (senior category). Age limit: The age of the candidates should be maximum 25 years and minimum 18 years. Weightlifting (56/62 KG): The selected candidates will get a grade pay Rs 2,400/2800. Weightlifting (69/77 KG): The selected candidates will get a grade pay Rs 1,900/2000. Badminton (M): The selected candidates will get a grade pay Rs 1,900/2000. Cricket (M): The selected candidates will get a grade pay Rs 1,900/2000. Hockey (M): The selected candidates will get a grade pay Rs 1,900/2000. Wrestling (M) (57/70 KG): The selected candidates will get a grade pay Rs 2,400/2800. Wrestling (M) (74/86 KG): The selected candidates will get a grade pay Rs 1,900/2000. Basketball (M): The selected candidates will get a grade pay Rs 1,900/2000. Interviews will be conducted by the committee and marks will be awarded (out of 60 marks) only to the fit candidates for their sports achievements, educational qualifications, general intelligence etc. Those declared ‘not fit’ will not be assessed further.